A car accident can not only be disastrous for your vehicle, but also for you wallet. 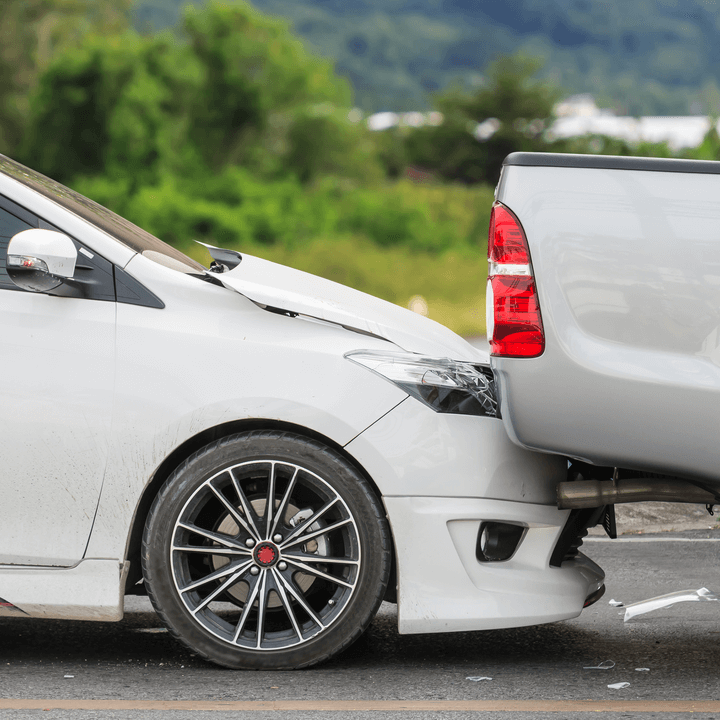 An accident can cause your car insurance rates to increase by up to 41 percent research shows, and this rate increase can stay with you for three to five years. Accident forgiveness is a policy add-on that can keep your rates the same after an accident. However, it comes at a cost, and not all insurance companies offer it. Accident forgiveness is typically available to either longtime policyholders with good driving records at no additional cost, or offered as an option to purchase in addition to their current premium. Most companies will only allow those who have been accident free for a certain number of consecutive years to purchase it. Accident forgiveness usually costs about 2 to 9 percent in addition to your insurance premium, according to a NerdWallet from 2017. Accident forgiveness may seem like a good idea, but it can be a gamble. Essentially, you’re paying up front for an accident that you may not end up getting into. Plus, accident forgiveness doesn’t necessarily mean your rates won’t increase. According to that same study, car insurance rates have gone up 6.6 percent across the board, regardless of your driving record. And if you had any additional good driving discounts, you would lose those once you filed a claim. Although 2 to 9 percent doesn’t seem like a huge increase, it can add up over time, and it might be worth the savings to not have it on your policy. For example, if your insurance premium is $1000 a year, and you buy accident forgiveness that costs 5 percent of your premium, that’s an extra $50 a year. If you choose to buy the additional accident forgiveness for seven years, that’s $350 you’ve spent toward an accident you never had. However, if you had an accident in year two of buying the coverage, you’d have prevented an increase of roughly $400 each year for three to five years after the accident. Every company handles accident forgiveness uniquely, and has different policies and procedures for offering it and utilizing it. With AAA accident forgiveness, policyholders won’t see high rate increases after an accident. AAA accident forgiveness is available in most states. Allstate’s accident forgiveness is offered as an optional coverage to add to standard car insurance policies. Allstate offers two levels of accident forgiveness: the Gold Plan, which forgives your first accident while insured by them, and then the Platinum Plan, which forgives a certain number of accidents until you no longer qualify for the program. Allstate also offers a program called Safe Driving Bonus where every six months you go without an accident, Allstate mails you a check. American Family has an earned Accident Forgiveness program for its policyholders. With this coverage, if you haven’t had any accidents that were your fault in 5 years, your next accident won’t raise your premium. Farmers offers accident forgiveness as an optional coverage to its policyholders who’ve had a good driving record while insured with them. If you buy this coverage, Farmers will forgive one accident and not raise your premium for every three years you go without getting into an accident, regardless of who’s at fault. Geico has accident forgiveness available for its policyholders to add to their policy, or it can be earned after years of good driving. Geico’s accident forgiveness applies to any driver on your car insurance policy and forgives their first at-fault accident. Liberty Mutual offers accident forgiveness to those who’ve been accident free and violation free for five years, either with Liberty Mutual or another insurance company. You can purchase Liberty Mutual accident forgiveness in addition to your existing car insurance policy, and your premium won’t be raised after your first at-fault accident. Nationwide accident forgiveness is an optional add-on to your Nationwide car insurance policy. Nationwide accident forgiveness extends to anyone on your policy, but it can only be used once per policy. Nationwide also offers a separate discount to those who have been accident free for five years. Progressive accident forgiveness is offered to its policyholders through its loyalty program. Your accident forgiveness program improves the longer you go accident free while insured with Progressive. Progressive small accident forgiveness is in place as soon as you get Progressive, in most states. Small accident forgiveness means your rates won’t go up if you have a small claim of $500 or less. Progressive large accident forgiveness is a benefit policyholders in most states receive if they’ve been with progressive five years, and have been claim free at least three of those years. Your premium won’t increase after your first accident, no matter how large the claim, with large accident forgiveness. Safeco car insurance policyholders are eligible to receive Safeco accident forgiveness as a loyalty perk through Safeco Safety Rewards. After a set number of years of safe driving, Safeco will forgive your first accident and not raise your premium. State Farm accident forgiveness is offered for policyholders who have been accident free with State Farm, not including another insurance company, for nine consecutive years. If you get in an accident and you’re at-fault, your rate won’t increase if you qualify for State Farm accident forgiveness. Travelers includes accident forgiveness as part of its Responsible Drivers insurance policies, which are available for purchase to drivers with good driving records. With either Travelers Responsible Driver Plan or Premier Responsible Driver Plan, policyholders get one accident and one minor violation forgiven every three years, meaning drivers won’t see a premium raise. USAA accident forgiveness is an earned loyalty perk for policyholders with good driving records. Earned accident forgiveness is included in every car insurance policy in qualifying states, and is given to USAA car insurance policyholders who have been accident free for five years while insured by USAA. Any driver on the policy’s first at-fault accident is forgiven with USAA accident forgiveness. Accident forgiveness is not available in every state, and some states have different variations of typical accident forgiveness. For example, accident forgiveness is illegal in California, because of proposition 103 from 1988. It outlaws “excessive” insurance rates, which the California Insurance Commissioner decided accident forgiveness is, because you pay for an accident before you have it. Accident forgiveness, if available for purchase, is an added cost drivers should think about, especially if you have a long history of good driving. There are many discounts available through insurance companies for good driving, and taking advantage of those may offset the cost of accident forgiveness, but will also go away if you need to use your accident forgiveness. If you’ve had an experience with accident forgiveness, write a review to help other drivers learn from your experience. Shopping for insurance? Check out who other consumers rank as the best car insurance companies.